A bit of interesting trivia for you guys here. In Pokemon Omega Ruby and Alpha Sapphire, after completing a contest you get given a special Pikachu which can dress up in different outfits and gains a different fourth move depending on what outfit it’s currently wearing. It’s pretty cool, and it gives you a major boost in your contest chances since it’s already heavily levelled in its contest stats, and each costume has an attack specifically for each type of contest. The odd thing is that although it looks like a Pikachu, sounds like a Pikachu, and acts like a Pikachu, it isn’t a Pikachu, at least not according to where it’s found in the game’s files. Pikachu as a Pokemon can be bred to create a Pichu, and can evolve into a Raichu. Cosplay Pikachu cannot. 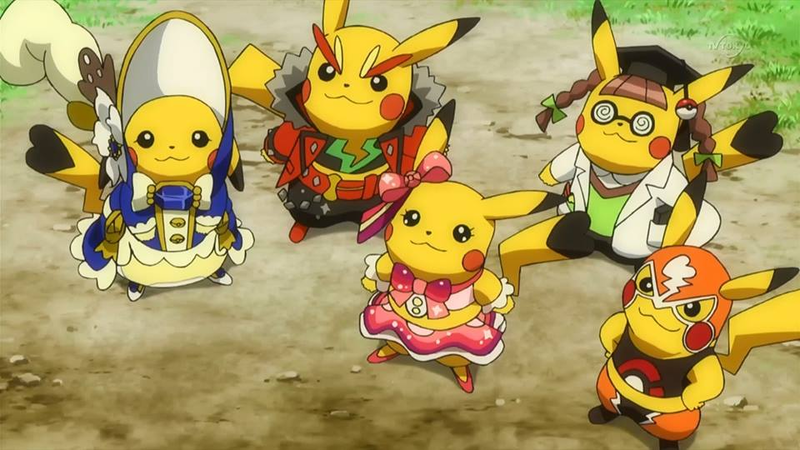 This is because Cosplay Pikachu is technically registered in the system as a DIFFERENT Pokemon. It has the costume mechanic enabled, and with it the switchable fourth move. It’s given the level up skill tree of Pikachu, and the light orb DOES effect it, but that’s all. It doesn’t even get any stat boosts from the Eviolite since this specific Pikachu doesn’t have any evolutions logged for it in the game’s system. It is to all intents and purposes a completely different Pokemon.